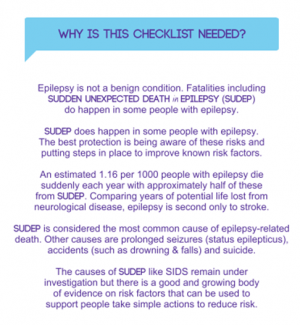 The Checklist was developed in Cornwall (UK) as a collaboration between SUDEP Action & Cornwall partnership NHS Foundation Trust. It is supported by a Development Group of leading experts in the field. The Checklist & EpSMon Projects have been recognised as having the potential to transform Epilepsy Patient Safety and improve outcomes for people living with the condition, when used to create a holistic approach to Epilepsy Risk discussion and management. Which is why all clinicians caring for people with epilepsy can register for the Checklist to support them in having these vital discussions. 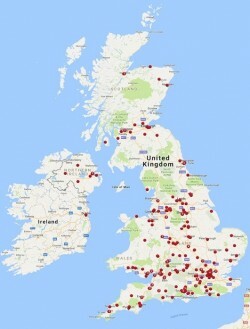 Will you join the 600+ Clinicians currently using the Checklist? The registration process is quick & allows the Checklist team to ensure the tool is being used by clinicians directly caring for patients with epilepsy. Complete the form below & we'll be in touch asap.